More than 200 volunteers donated their time to stuff backpacks with new school supplies as part of the United Way of St. Catharines & District’s Backpacks for Kids program. The bags were distributed to schools across Niagara. Shana Shipperbottom (left) of United Way St. Catharines & District is presented with $5,000 from Jack McKiernan, project chairman of Kiwanis TV Bingo Thursday at Enrbidge Gas Distribution Inc.’s warehouse for the Backpacks for Kids program. 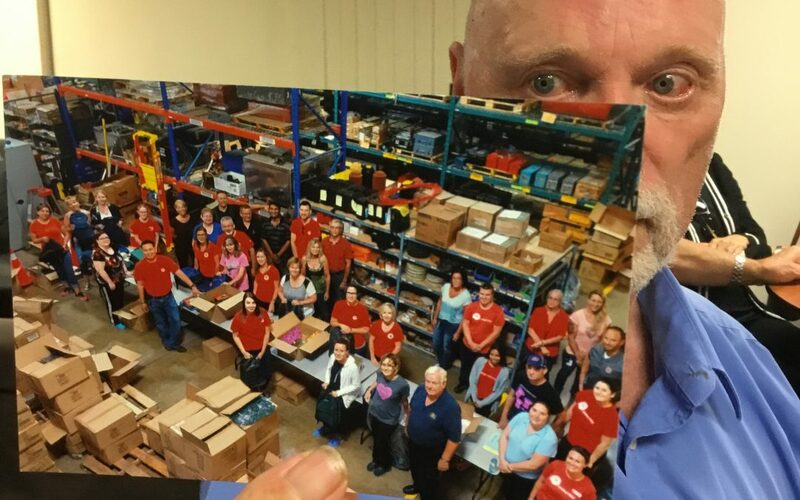 ST. CATHARINES — Hundreds of volunteers spent several hours last week filling backpacks with school supplies for thousands of students across Niagara. 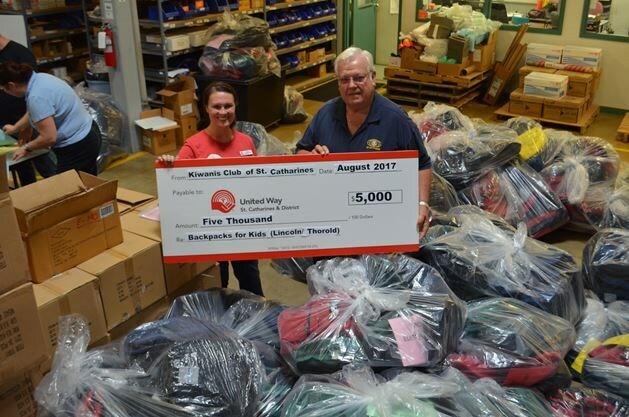 As part of United Way St. Catharines and District’s annual Backpacks for Kids campaign, more than 2,625 will head back to class with new backpacks filled with everything they’ll need for a successful school year. The filled backpacks, valued at $120 each, are made possible through partnerships between United Way and community partners, such as Accenture, Algoma Central Corporation, District School Board of Niagara, ATU Local 846, Enbridge Gas Distribution, ETFO, General Motors, John Deere, Kiwanis International, Niagara Region, Niagara Regional Labour Council, Ontario English Catholic Teachers Association, Ontario Secondary School Teachers’ Federation, OPSEU Local 294, RBC, St. Catharines Transit Commission, and United Way of Niagara Falls and Greater Fort Erie. 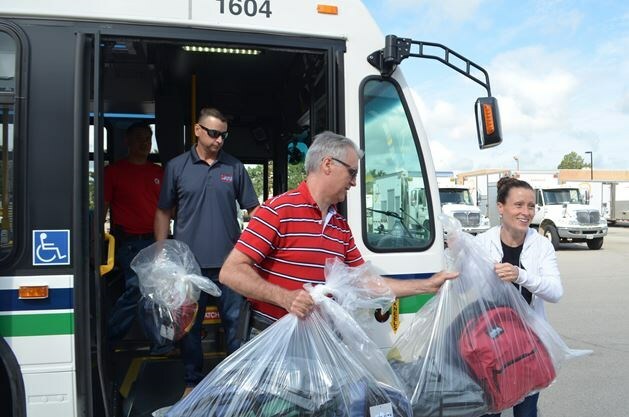 Shana Shipperbottom, labour program and services co-ordinator at United Way of St. Catharines and District, said they work with Avondale Food Stores to purchase the backpacks and supplies at a distributor rate. “They’re a big help in making this all come together,” she said, adding that many of the community partners donate their time to help pack up the backpacks over two days in the warehouse at Enbridge. The backpacks will be distributed to students at schools across Niagara, from Grimsby to Fort Erie and everywhere in between. Melinda Cheevers is a reporter for Niagara this Week covering St. Catharines. She also edits Niagara Life and West Niagara Life magazines.